SCOTTSDALE, Ariz. (AP) Phil Mickelson and Jon Rahm will get the party started early Thursday in the Waste Management Phoenix Open. The former Arizona State stars will begin play with Xander Schauffele on the 10th tee at TPC Scottsdale just before 8 a.m. They will hit the rowdy par-3 16th hours before the alcohol-fueled revelry kicks into high gear at the stadium hole. No matter the time, they’ll hear plenty of ”Forks up!” and ”Go Devils!” cries from the gallery. ”It’s going to kind of be weird to play with them on Thursday and Friday,” Matsuyama said. Rahm and Mickelson are playing together for the first time in the tournament and fourth time on the PGA Tour. Mickelson’s brother, Tim, coached Rahm at Arizona State and was the Spaniard’s agent. 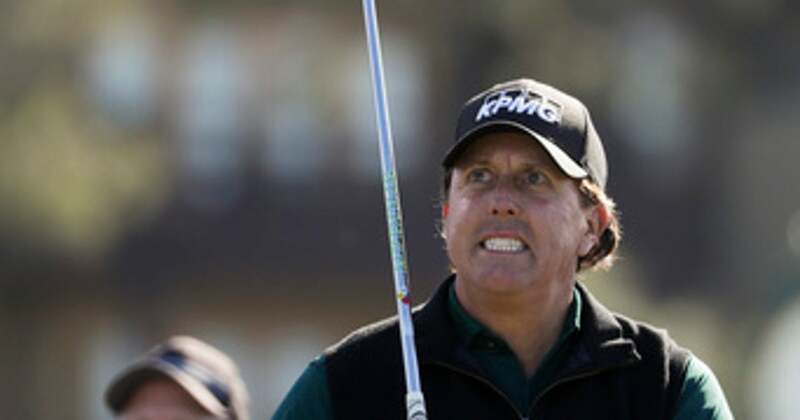 Tim Mickelson is now his older brother’s caddie. Rahm was second behind Johnson at Kapalua in his first start since winning the European Tour’s season-ending event in Dubai in November. He’s making his third appearance in the tournament after tying for fifth as an amateur in 2015 and tying for 16th last year. ”He spent a little time in Alabama, so we had that in common,” Thomas said. ”There’s a lot of things I’m going to do differently on the putting green in practice than I do in tournaments, so he may be able to pick up on those things,” Thomas said. ”I didn’t want him coming back too soon and then having to take another month off,” Thomas said. The fifth-ranked Matsuyama is trying to match Arnold Palmer’s record of three straight victories. Palmer accomplished the feat from 1961-63. ”That would be something,” Matsuyama said.